Keeping up with SD-WAN market trends is the key to understanding and properly using the technology. IDC predicts that the SD-WAN market will hit $6 billion by the year 2020, with a 90% annual growth rate. 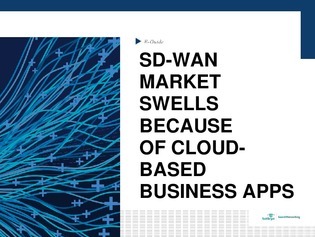 This expert e-guide takes a look at the current SD-WAN market swell and how it’s attributed to the rise in cloud-based business apps. Learn why the increase in cloud apps will almost double SD-WAN adoption rates next year.